Demney Steel Limited was formed in April 2010 by owner Harry Neynens. Harry Neynens is a Professional Engineer, Welding Engineer and Welding Supervisor as defined and recognized by CSA Standard W47.1 . 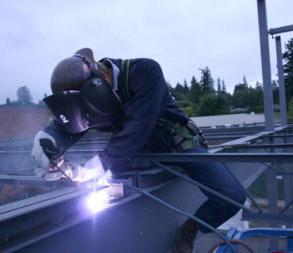 Harry Neynens has over 23 years experience in the Structural Steel and Miscellaneous Metal Fabrication Industry and has worked on every type of metals projects from renovations, new structures to complex and intricate miscellaneous metals. 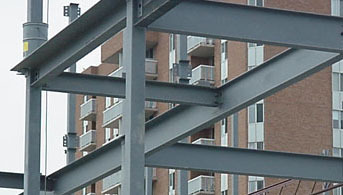 Demney Steel Limited has created working relationships with suppliers and subcontractors throughout Nova Scotia to help bring your Metal Fabrication needs on your projects to a successful completion. Demney Steel is certified to CSA Standard W47.1 - Certification of Companies for Fusion Welding of Steel in the Division 1. We are committed to finding you the best solution for your projects and to bring them in on time and budget. We will continue to develop strategic relationships with other organizations that will help bring your Metal Fabrications needs to a successful completion. Demney Steel is a proud Member of the Nova Scotia Construction Safety Association and is committed to having all our projects completed safely and without incident. Letters of Good Standing from The NSCSA and Workers Compensation can be provided upon request.